A re-imagined telling of Roald Dahl's Charlie and the Chocolate Factory. Willy Wonka is many things. Master Chocolatier, Mad Inventor, and Successful Entrepreneur. But despite all that, something is missing. 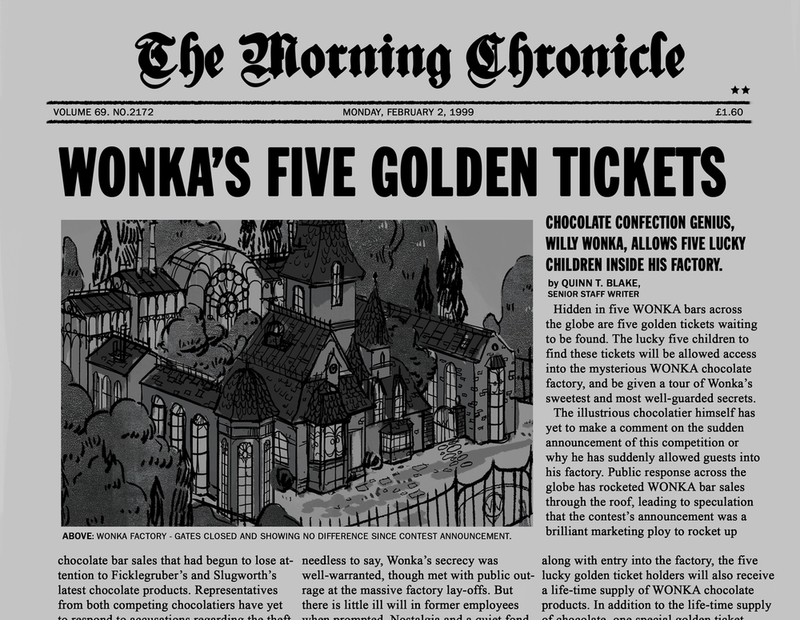 So he devises his greatest scheme yet, and invites five lucky children to enter his factory in a competition that sends the whole world a-frenzy. 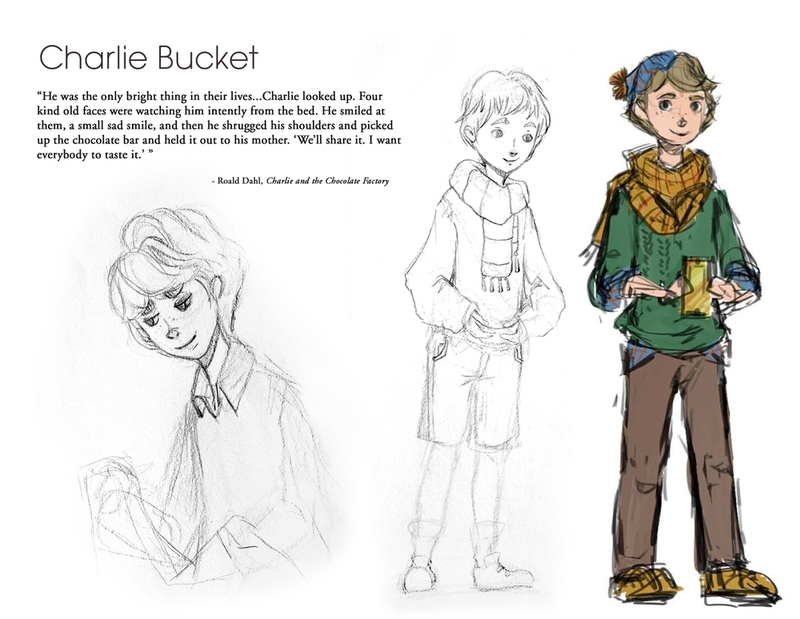 When Charlie Bucket finds the last golden ticket, he has no idea what magic or madness awaits for him when he is invited to Wonka's factory. 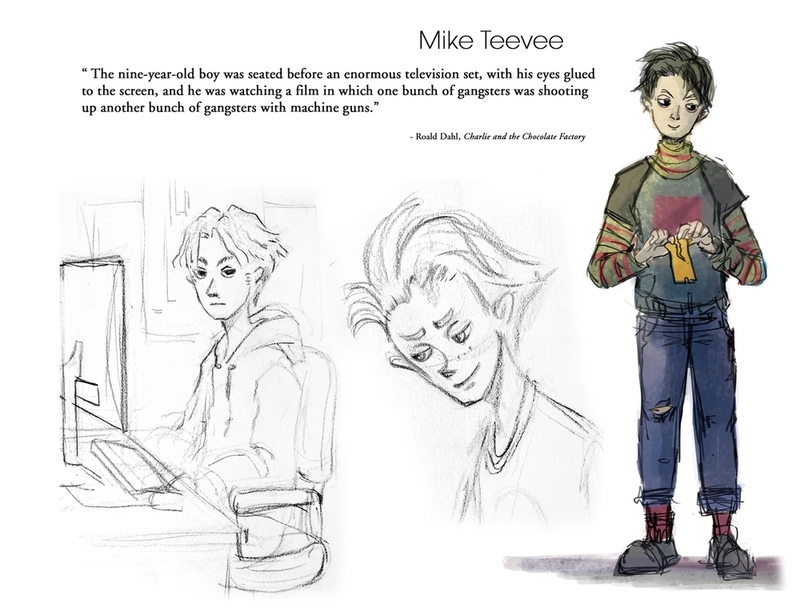 Some environment, prop, and character designs from the project.